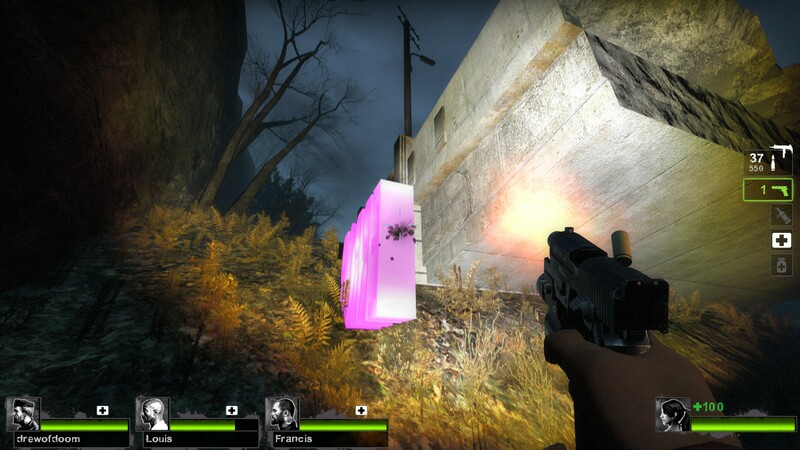 Recently, my guy and I were playing a round of Left 4 Dead. Zombie shooting is fun. 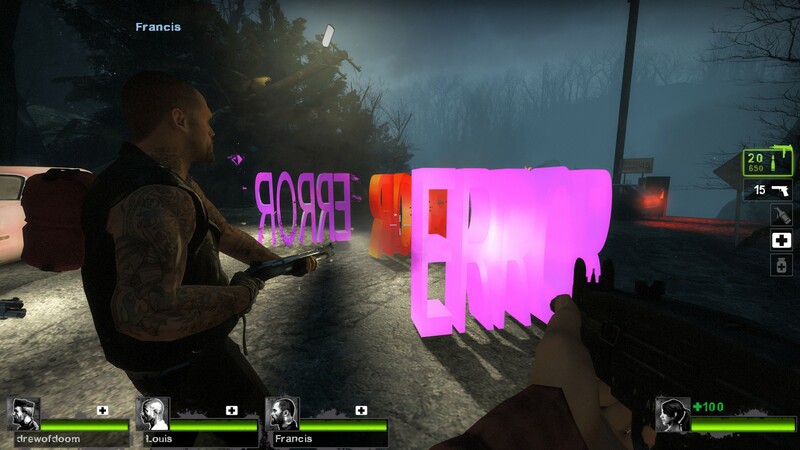 However, when we actually loaded the game up, it was full of errors. I’m not talking a random graphical glitch here and there, I’m talking LITERAL errors. Giant ones. And the red ones were flashing. What was particularly terrifying, though, was when the errors started CHARGING AT US. They didn’t seem able to harm us, though. We were able to shoot them, and blood came out, but no errors died in the making of this blog post. 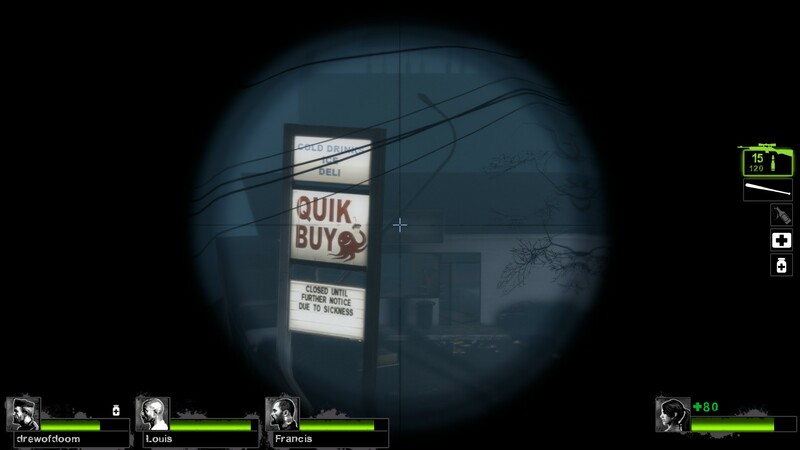 And lastly, a bonus picture of an octopus sign. 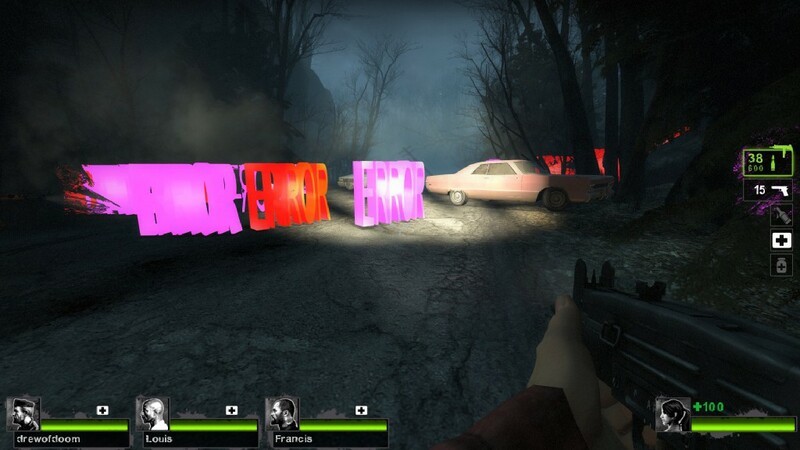 This entry was posted in Updates, Zombies and tagged errors, game errors, games, gaming, graphical error, l4d, l4d2, left 4 dead, left4dead, octopus, video games, zombies on May 19, 2013 by Jackie Bagwell.